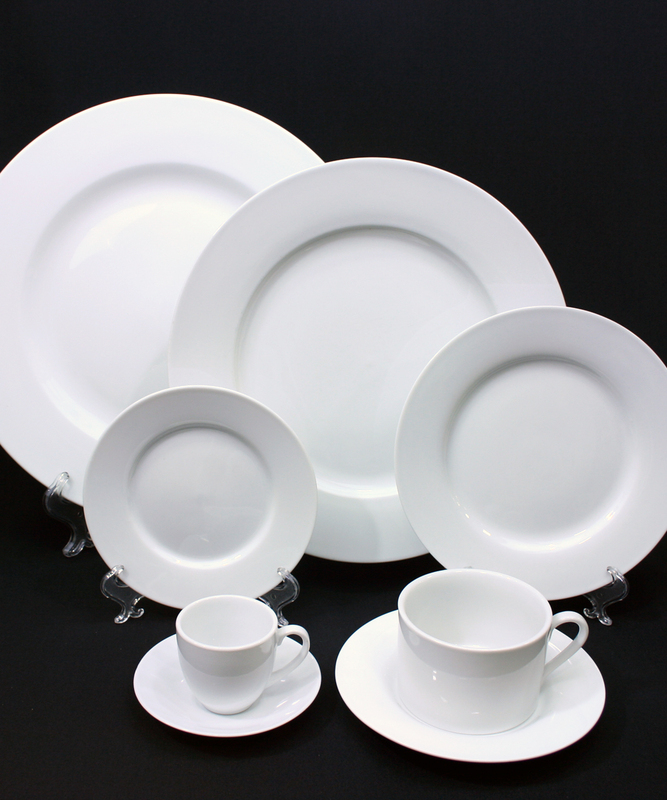 Timeless white china design with a wide rim. Perfect for any table setting! All china comes in packages of 10.